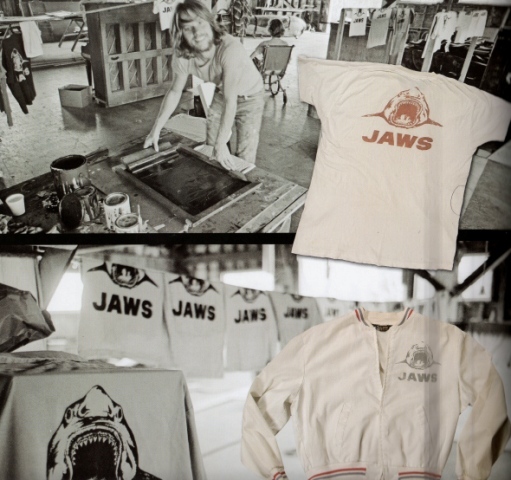 “JAWS: Memories from Martha’s Vineyard” Features a JAWS you’ve NEVER seen before! 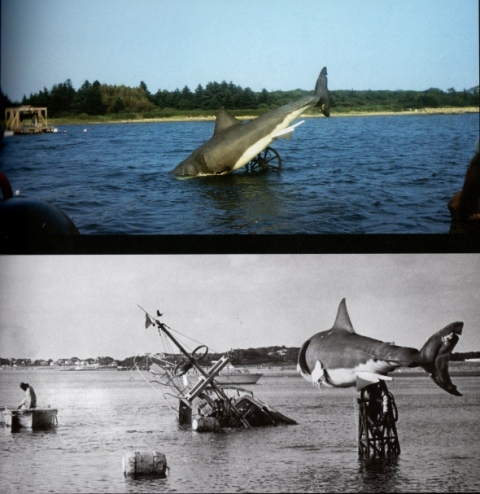 Terror from Beyond the Daves is pleased to announce the re-release (and expansion) of the ULTIMATE behind the scenes book, “Jaws: Memories from Martha’s Vineyard” (Titan Books). In 2005, a gathering took place on the small island of Martha’s Vineyard, located off the coast of Cape Cod in Massachusetts. In celebration of the film’s 30th Anniversary, “Jawsfest” would not only entertain fans of the film but also inspire one of its most fervent collectors. Jim Beller, who’d been seeking out JAWS merchandise since he was a child, began wondering what private photographs some of the locals may have taken during filming. After interviewing some knowledgeable residents, Beller was directed to writer (and fellow JAWS enthusiast) Matt Taylor. The two men joined forces and sought out whatever hidden treasures they could find; though neither could have dreamed how much they’d ultimately unearth. Soon they’d not only be inundated with rare and amazing photos, but also incredible stories from many of the locals who’d also taken part in the film’s production. 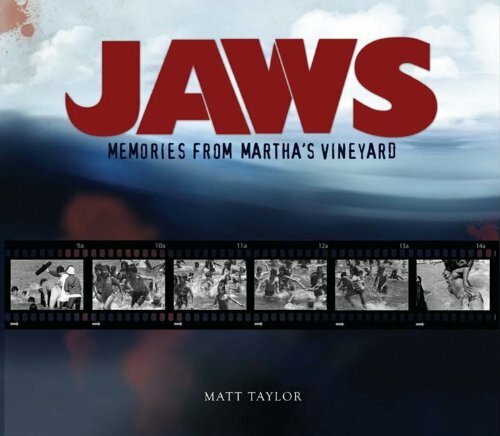 Bringing them all together in one amazing book, “Jaws: Memories of Martha’s Vineyard” became the quintessential movie scrapbook. Not content in simply raising the bar on “behind the scenes” books, it elevated them to unbelievable heights. Published in 2010, it wasn’t long before fans swallowed up all the copies, making the book about as rare as a 25 foot Great White Shark. After its release, eyewitness photos and stories continued to pour in and it soon became clear to Taylor that the book not only needed to see re-released, but expanded! This new version will have 16 more pages than its predecessor. The stories shared by those outside of the industry were really amazing and I can’t imagine anyone who spends even a short time going through this book to not walk away an expert. 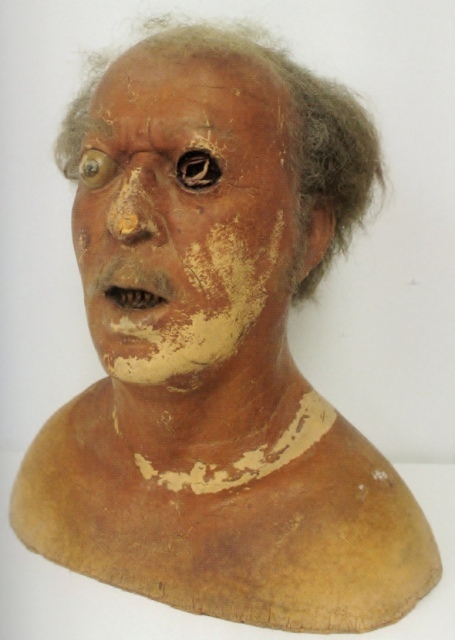 One such story involved the fisherman, Ben Gardner; the hapless corpse found by Matt Hooper (Richard Dreyfus) during a late night dive while investigating a capsized boat. 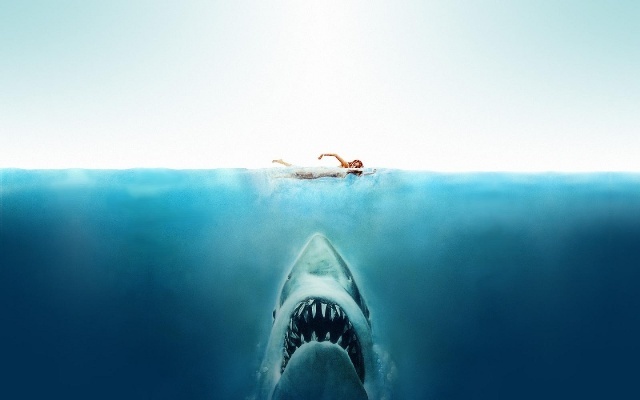 Originally the scene was supposed to be shot during the day with Hooper, Chief Brody (Robert Shaw), and a news reporter making the grisly discovery but, due to poor weather conditions, Spielberg was forced to alter the scene completely and film at night. 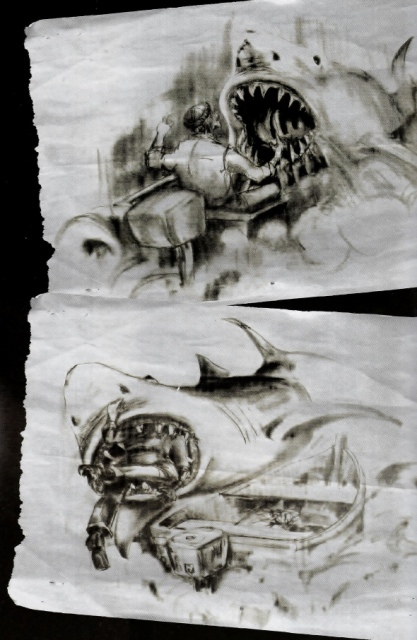 As for the victim, Gardner’s death was something viewers were originally slated to witness (see storyboard sketches below) but Spielberg nixed the idea, deciding it was too early for the audience to see the shark. This is just one of MANY stories featured in this fantastic book! Also included are complete Martha’s Vineyard Newspaper clippings, cancelled checks from Universal Studios, player contracts, revealing Polaroids of the ORCA, even MORE unbelievable storyboard drawings, eyewitness accounts, and some of the most amazing pictures you’ve ever seen! This is really the quintessential homage for one of the most celebrated movies in film history. Steven Spielberg contributes a Forward in this book, stating that it is a “reminder of both the pride and kinship” he feels towards the residents of Martha’s Vineyard. 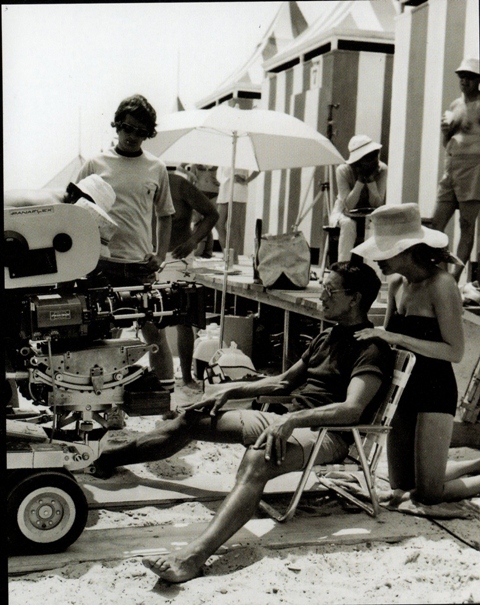 Many of us have heard the stories of the faulty mechanical shark and numerous production woes that plagued the set of JAWS. Thanks to this book, we are now treated to a much richer and complete story. I can not recommend this book enough and both Daves give it four thumbs up! You can order your copy by clicking HERE! This entry was posted in Book Reviews, Man vs Nature! and tagged Great White Shark, JAWS, MARTHA'S VINEYARD, SHARKS, STEVEN SPIELBERG. Bookmark the permalink.